A few years back I decided to start playing Malifaux. I purchased a Seamus crew and an Ortega crew to quickly paint to play some games. I had convinced my wife to play the game and try painting some miniatures. Neither plan got very far as neither of us painted our crews. As I've been playing Malifaux more I've been thinking that it would be good to play some demo games with people. 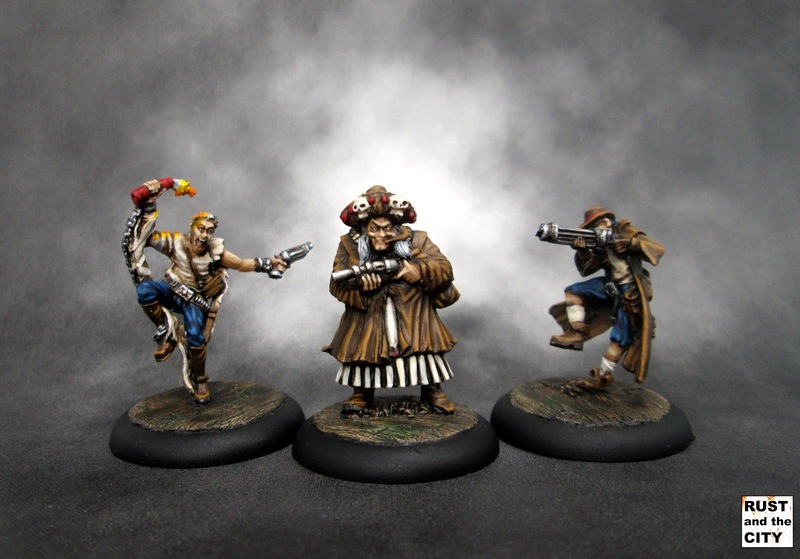 As such, I painted up this crew fairly quickly to have another completed crew. These models are the older Malifaux metal models from 1st edition. 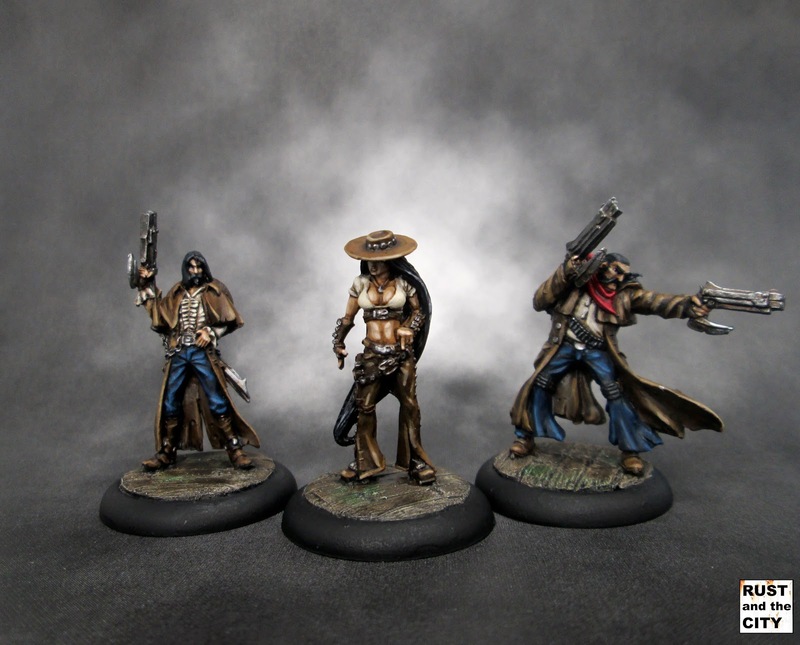 Malifaux has transitioned to fully plastic models over the last few years. After painting the plastics, the metals seem poor by comparison. These models are decent but are much less dynamic than the newer plastics. The models tend to be a little flat when viewed from the side. There are also a few spots with poor detail, like Nino's face. Here are the models as far as they got three years ago. I painted these models relatively quickly. The first three models I painted in two hours. 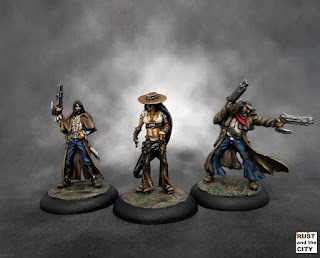 The second three models in three hours of painting. I worked with many of the basecoats that were already on the models and quickly highlighted them to tabletop quality. They look a bit poor in large high resolution pictures but they look good on the tabletop. Abuela Ortega was my favourite model out of this set. The sculpt has a lot of character. I prefer it to the newer steam powered wheelchair model. Although the wheelchair is quite cool as well. It's funny that the wheelchaired Granny model is average mobility in the game. I may try using this crew in a few games. I'd need to add another 1 or 2 models to get it up to 50 soulstones and then I may use it in some games. Perdita seems like an effective and fun master to play in games. Her play style appeals to me. I can't figure out how I would paint the newer plastic crew. I have the 2nd edition cards so I will try to get a few games in with this crew on vassal or in real life. They will also make a powerful demo crew for an opponent. 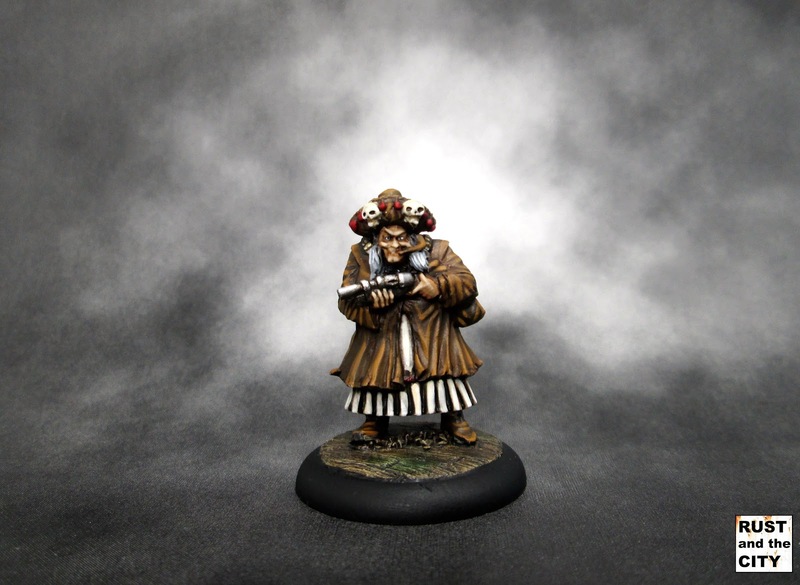 In other painting news, I have entered Wyrd's Iron Painter competition. Iron Painter is a 5 round competition. You have two weeks to paint a model. You are matched against another painted in a bracket style competition. I am apprehensive about the challenge of painting quickly and against such high quality competition. I'll upload my projects here after they have been entered in each round. The first round ends at the end of March. As always, thanks for visiting my corner of the interwebs. I hope you've been enjoying the different models I have been painting recently. I've been diversifying the models I've been paiting in the last few months. Visit again soon for the start of my Colette crew and the first entry into the Iron Painter competition. Looks good, I really like the Western look of that crew. Good luck with that painting competition, sounds pretty intense! Thanks Richard. I like the Western theme too. The competition will be very tough. I don't have any delusions about winning, but I would like to do well enough to avoid elimination. Painting Comp! good luck mate, If your work is up to the standard of your steampunk arachnid team (Who's name escapes me), then you should go far! Ortegas were one of the teams I was supposed to paint up when I first tried Mailfaux out, as were the Gremlins. I liked the sculpts enough, though I think your versions are far more interesting than my realisations. 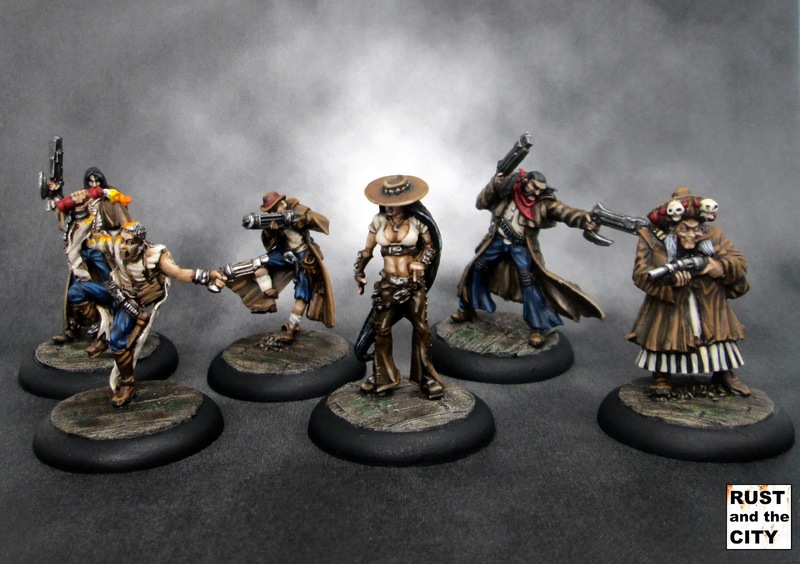 You should see some of the Malifaux painters. The great sculpts attract lots of incredible painters. I'm just hoping to try and avoid elimination. These older metals are quite slender. Perdita is definitely a bit Barbie proportioned.